Check back soon for more details and announcements. As the world’s most comprehensive security event, GSX delivers new opportunities to exchange ideas, expand networks, and experience innovations to empower both operational and cybersecurity professionals around the globe now and into the future. 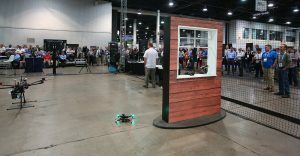 The reimagined exhibit hall serves as a learning lab environment featuring presentations and demonstrations on the latest products and services, including machine learning, robotics, forensic analysis, surveillance, IoT, and artificial intelligence. Don’t miss these special exhibit hall features where you can compare cutting-edge technologies, acquire the latest information, network with peers, and find new solutions—all in one place. Dynamic and leading edge educational tracks, panels, and discussions focused on embracing technology to find effective solutions to security challenges. Showcases tried-and-true best practices. Conversations are focused on underlining success factors, rather than the value of a specific product. Provides a forum for the discussions that need to take place between practitioners and solution providers. Continue the conversation from the X-Learning Stages, while also recharging, relaxing and networking with peers. Open to all attendees during exhibit hall hours. When is it ok to shoot a drone out of the sky? If Intel can fly 2,018 drones operating in tandem, how hard would it be to weaponize these UAVs and create a swarm minefield in the sky? Are DBIEDs (drone-based IEDs) for real? The Career HQ is where you’ll find FREE resume reviews, the Headshot Studio, career coaching, professional development sessions, and networking opportunities with employers and peers. Stop by the Headshot Studio, located in the Career HQ, for a FREE professional headshot taken by award-winning photographers—with makeup artists present for touch-ups. The Studio is open during exhibit hall hours and headshots are available on a first-come, first-served basis. Donations are appreciated and accepted to support the ASIS Foundation. 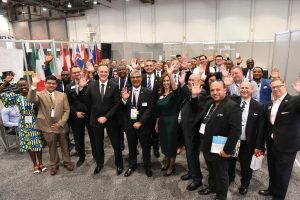 GSX 2019 unites the full spectrum of security for world-class education, vital business connections, and the latest solutions and innovations on the market. Connect with peers and colleagues from around the globe to explore the trends and technologies driving the security industry. 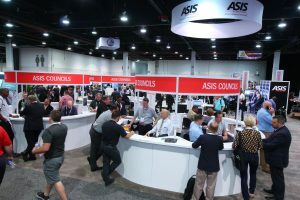 ASIS International thrives on providing its members with the resources, tools, and connections to grow professionally. Visit our booth to learn more and take advantage of all that we have to offer. 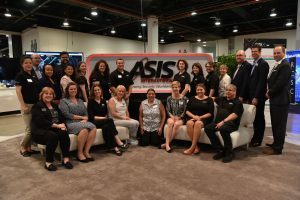 Meet with ASIS HQ staff and volunteer leaders to learn more about how to join, what’s new, how to get involved, new research and programs, advancing your career, and so much more! Engage with global security peers and HQ staff about vital programs, trends, and opportunities to advance your business and career. Meet with ASIS council leaders to get your questions answered, hear about up-coming activities, and become more involved. Visit all the destinations on the passport you receive at registration and turn it in fully filled out for a chance to win a prize! Relax at the booth and charge your devices after a long day walking around the exhibit floor. Check back for pricing, hours and the menu for GSX 2019. 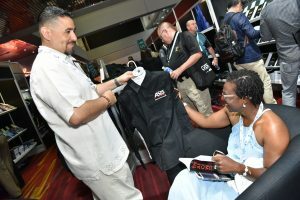 Come​ to the ASIS Store at GSX 2019—your once-a-year opportunity to peruse in person, security publications and certification materials. You’ll find new and best-selling titles, as well as classic references on topics in security management, investigations, and physical security. Knowledgeable staff will be on hand to suggest products and answer your questions—plus, popular ASIS merchandise will be available for sale.